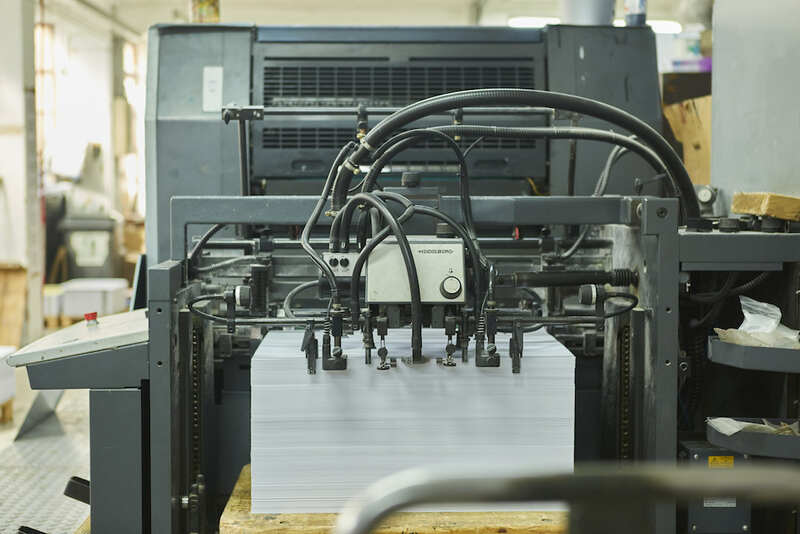 We have over 40 years of print experience and we like to share what we know. We help all kinds of people understand print and graphic design with patience, enthusiasm, and no jargon. Here are the standard creative workshops, learning experiences, and team building days we offer, but if you’d like something more bespoke please get in touch. Email sam@calverts.coop or call the office on 020 7739 1474. Ever wondered how a Risograph printer works? Join us for a trip through paper stocks, inks, over-laying colours and image making. 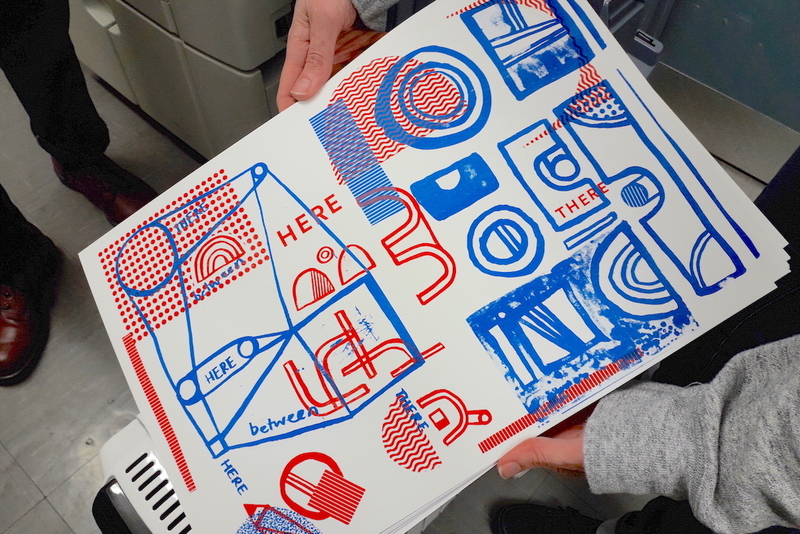 As a group we will explore the basic functions of the Riso machine and then you will have the opportunity to develop your own two colour design, select your colour combinations and produce 10 prints that you can take home. No experience necessary. This class is perfect for absolute beginners and seasoned design professionals alike. You are welcome to bring along your own images, type and illustration and we will also provide all sorts of images, mark-making and collage materials. Cost: £48 per person, including materials and refreshments. Venue: Calverts, 9-10 The Oval, London E2 9DT. The nearest stations are Cambridge Heath and Bethnal Green. We regret that our office is not currently wheelchair accessible. Upcoming workshop dates will be published via our email newsletter. If you have questions about the workshops or our riso printing services please get in touch with Sam at sam@calverts.coop or on 020 7739 1474. Environment – discuss different processes and materials to consider to make your publication as environmentally friendly as possible. Cost: From £120 + VAT per group. If your group would really benefit from a Paperjam workshop but your budget won’t stretch please talk to us. Group size: Between 5 and 10 students for Paperjams hosted at Calverts, between 5 and 30 students for Paperjams hosted at your college or campus. Venue: We can come to your college or campus to deliver a Paperjam workshop within Greater London. Or groups of up to 10 can visit us (and receive a free tour of our printing presses!) We are based at 9-10 The Oval, London E2 9DT. The nearest stations are Cambridge Heath and Bethnal Green. We regret that our office is not currently wheelchair accessible. Please note: we are a working printshop and design studio so it is essential to book your Paperjam with us in advance, we can’t host groups at no notice. If you’d like to book a workshop or just find out more please contact Arthur at arthur@calverts.coop or on 020 7739 1474. Looking for an unusual and creative team building activity for your staff? We run private risograph printing workshops and Paperjams for small teams at our studio in Bethnal Green. 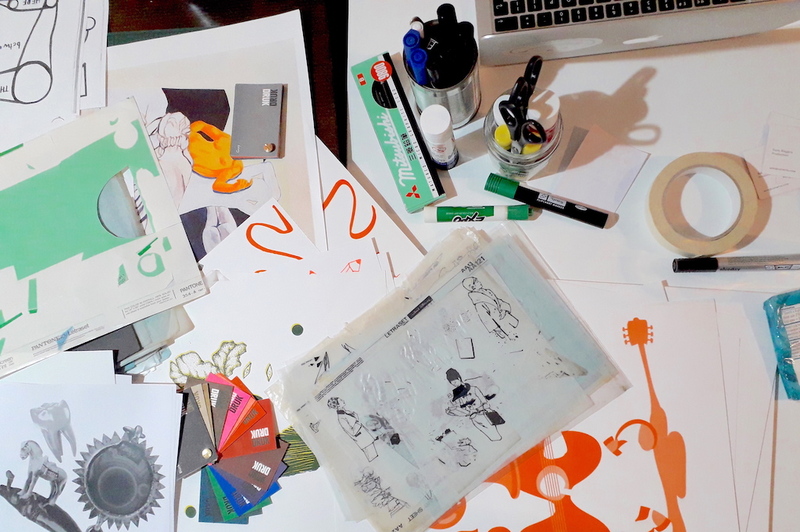 These workshops are especially suited for teams in creative industries who would like to gain an insight into the art of print, and for publishing teams who would like to know more about the nuts and bolts of how a book is made. We will work with you in advance to tailor the session for your organisation’s needs and interests. All materials and refreshments provided, no experience needed. Cost: From £250 + VAT per group for a Paperjam workshop, from £350 +VAT for a Risograph workshop. Please contact us to discuss your requirements for an exact quote. Workshop length: We will adapt the workshop to suit your needs but they typically last 2– 3 hours. Please contact Sam at sam@calverts.coop or on 020 7739 1474 to find out more about what we can offer.